Summer is the perfect for an outside wedding, whether it is on the beach or in a beautiful garden. The only thing you need to worry is to find comfortable shoes. You are probable thinking that you will have to sacrifice style for comfort, but that is not the case. 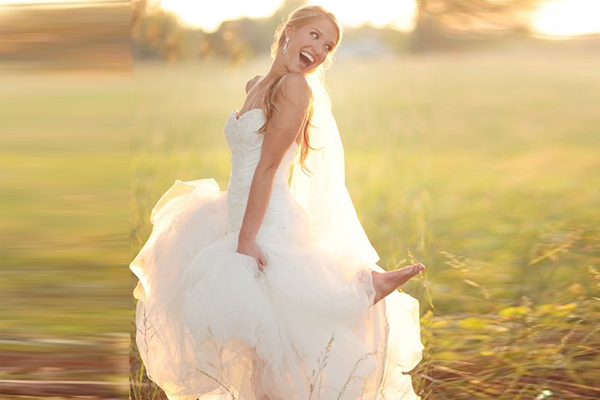 Check out our selection of best bridal shoes for outdoor wedding! Looking for something on a ranch for a farm style? Or shoes to wear in the garden or on the sand? We have the answers to all that. Read on. 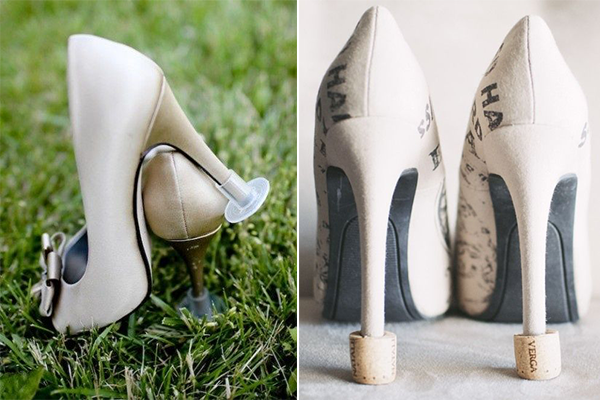 If you want to wear your dreamy heels on your wedding day even though you are having an outdoor wedding, high heels heeler can be very useful. If you will be walking on grass, bricks, sand or even wooden decks, this is the perfect solution for wearing heels. It is a good idea even for an everyday solution, if you are always on heels, you probably already have some. However, if you do not, we have some brilliant DIY ideas! You can replace them with wine corks or with plastic bends, like in this picture. 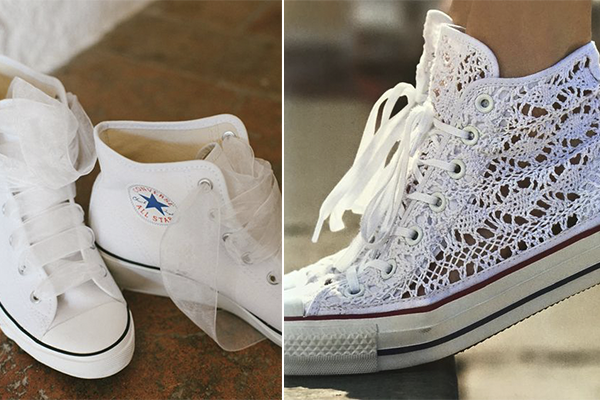 If your wedding is a little bit more casual and you always wanted to do something different, how about sneakers? You will look beautiful and this will definitely make a statement for your personality. 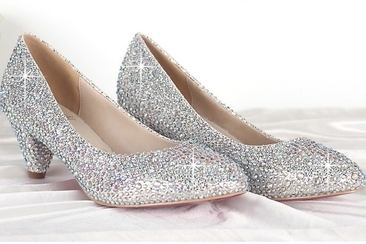 These are absolutely one of the best bridal shoes for outdoor wedding. 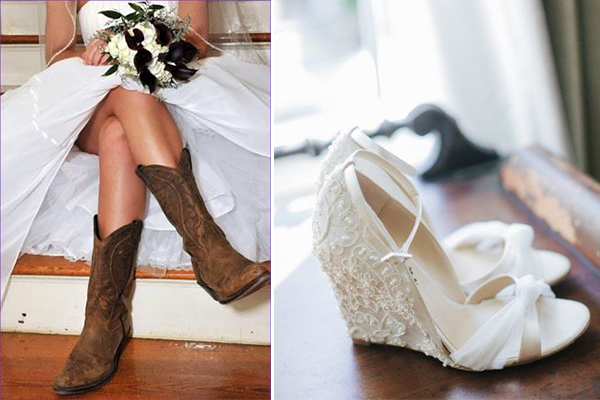 If your wedding is in a ranch or in a farm, it is a great idea to wear boots! They look great in contrast to the feminine white dress. If you like to wear platform shoes how about costume them with some lace and pearls? 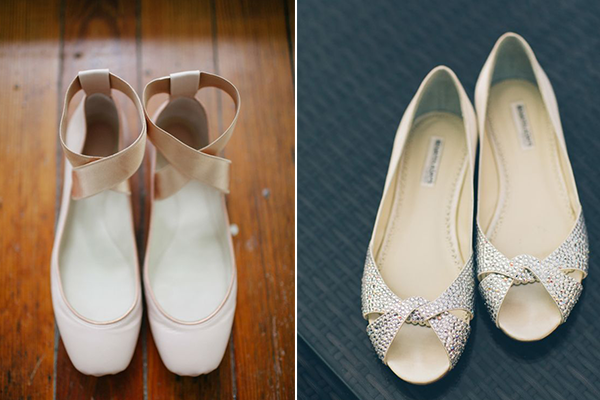 Another really comfortable but yet extremely beautiful choice of best bridal shoes for outdoor wedding are the ballet shoes. It can be actual ballet shoes or just cute flat shoes. And if you always dreamed about getting married in a sandy location, like on a beach, consider barefoot sandals. Walking down the aisle barefooted is becoming pretty usual these days, it gives the whole look a natural vibe. Wearing flower sandals is a plus. You can also have barefoot sandals made of lace or shells, you will find a lot of options on Etsy. Easy, simple, pretty and cheap. And our last idea is just to go barefooted. 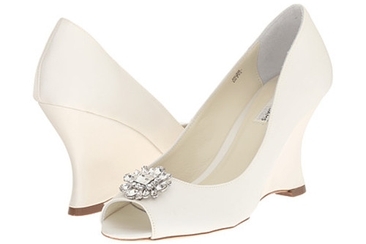 Best bridal shoes for outdoor wedding? YES! Having a beach wedding and looking for appropriate footwear? Why not learn how to make barefoot sandals! These gorgeous blings are perfect for an effortless event by the sea! As an alternative, you might want to convert high heels to wedges, for more comfort and style for some kinds of wedding, then get some tips and top choices here! 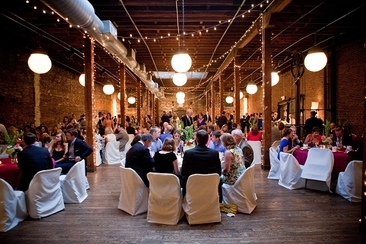 Is not serving dinner at wedding reception acceptable? Yes. Then what can be served intead for the wedding reception? Find some budget friendly alternatives here.